Sara Struwe earned her Bachelor of Public Administration with an emphasis in Urban Planning and Sociology from the University of Mississippi in 1984. In 2001, she earned a Master’s in Public Administration from the University of Dayton. Ms. Struwe began her career in nonprofit management in the Girl Scouts of the United States of America organization. During her nearly 20 year career with the organization, she honed her nonprofit generalist background by mastering the art of volunteer recruitment and management and focused on program conception, development, implementation, and evaluation, partnership development, adult education, and fundraising. In 2002, Ms. Struwe moved from an emphasis in youth development to the voluntary health field when she began working as the Vice President of Chapter Development for the Lupus Foundation of America (LFA). During her six-years with LFA, she focused on board development and network expansion, and she, along with a small group of peers, developed the organizations signature walk event. In 2009, she began working with the Crohn’s and Colitis Foundation of America and helped to implement the organizations new fundraising events Take Steps, a family-friendly walk, and Team Challenge, the organizations endurance training program as well as expanding excellent educational programs and patient and clinical services. 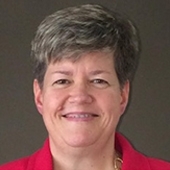 Ms. Struwe joined the Spina Bifida Association (SBA) in late 2009 as the Chief Operating Officer allowing her to continue to develop her skills in program development and evaluation, fundraising, adult education, and volunteer management. During her six years with the organization, SBA has shifted its focus to developing the research and partnership necessary to improve the health of people with Spina Bifida across their lifespan. In 2014, Ms. Struwe was appointed the SBA’s President and CEO where she began leading SBA’s efforts to develop the new Spina Bifida Collaborative Care Network (SBCCN), a system which will monitor, tracks and evaluate care provided in Spina Bifida clinics and other health care settings. Under her direction the SBCCN is developing the necessary relationships to adequately communicate between the SBA, clinics, people with SB and their families, organizations supporting people with Spina Bifida, and SBA Chapters. In addition, the SBCCN is in the beginning development phase of a patient-driven Spina Bifida registry that will analyze needs of the Spina Bifida community, with special emphasis on adult issues, while identifying and advocating for the adoption of best practices in the care for people with Spina Bifida.